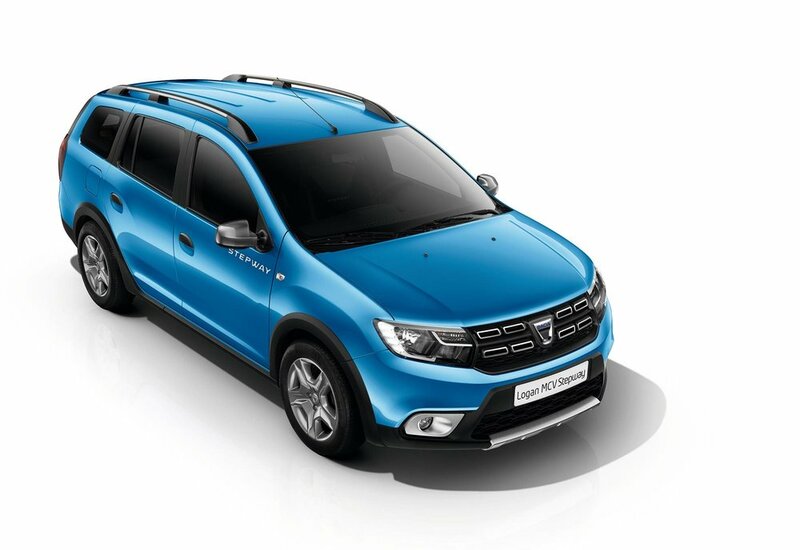 A fifth model has been added to the Dacia Stepway range - with the new Logan MCV Stepway. The new Logan MCV Stepway sports a ‘muscular build’ which draws inspiration from the world of crossover styling, offering practicality and a 573-litre boot at an ‘extremely competitive price’ says Dacia. 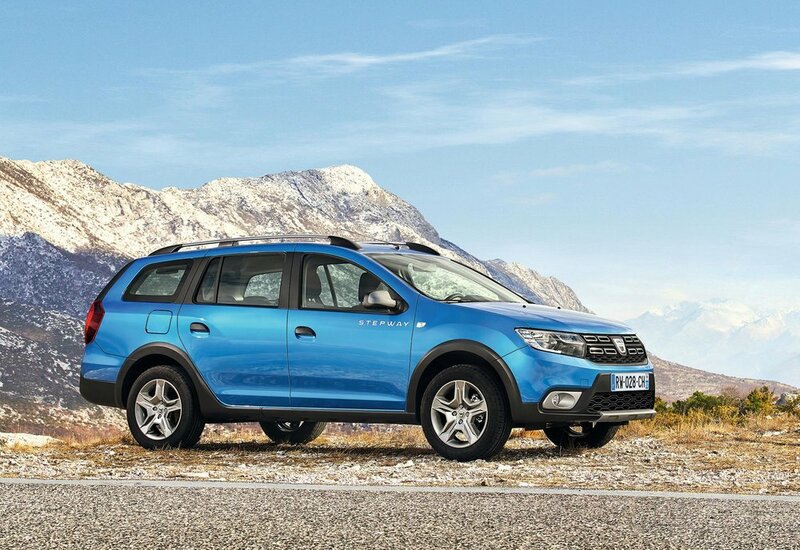 The Stepway edition of the Dacia's Logan comes with a new lighting signature, fog lights, interior updates, additional storage space, upgraded equipment specifications as well as a new satin-effect chrome skid plate. For easier ingress, ground clearance has been increased to 174mm – 50mm more than that of the Logan MCV, while its high-up driving position offers improved visibility. A new front bumper has been modified to ‘exude an elegant yet athletic stance’. Like the other models in the Stepway line-up, the new Logan MCV Stepway’s grille mirrors the black elements of the two-tone bumper, with the chrome rectangles rounding off its style in much the same manner as the Duster. Seen from the side, the wheel arches and sills are accentuated by an exclusive trim while Dark Metal door mirror housings and Stepway decals on the front doors, along with Dark Metal longitudinal roof bars which further emphasise the model’s estate car lines. At the rear, the tail lights are picked out in black. From launch the new model is available in either an Azurite Blue or Mink paint finish, combined with new, 16-inch Stepway Dark Metal Flexwheel wheels. This smart, ‘economical and attractive system’ comprises a slotted wheel trim design that fits over a similarly slotted rim. A more ‘status-enhancing’ cabin is joined by satin-effect chrome door releases, while the centre console fascia and air vents are trimmed by similarly-coloured surrounds. A new four-spoke steering wheel, in the brand’s ‘Soft Feel’ finish, features better integrated mounted-controls. The new model will be available in Laureate trim only, featuring MediaNav Evolution, rear parking sensors, air conditioning, DAB radio and Hill Start Assist (HSA). Leather upholstery, reverse parking camera and height adjustment package are also available. Available with a choice of engine and transmission options these range from the petrol TCe 90 with Stop & Start (S&S) mated to a five-speed manual gearbox (combined cycle fuel consumption: 46.1mpg / CO2 emissions: 115g/km) or the diesel dCi 90 S&S coupled to a five-speed manual gearbox (combined cycle fuel consumption: 60.3mpg / CO2 emissions: 100g/km).